With the autumn here, what would be a better time to meet in the warm and chic atmosphere of the University Village for a savourous Italian Dinner?... Piatti Restaurant is inviting us for the first special culinary event of the season, to enjoy a rich, authentic, flavorful menu, meticulously prepared from the healthiest local ingredients: 1. a choice of hearty Italian soup or fresh salad for starters and 2. margarita pizza, sweet corn and ricotta ravioli with cherry tomato butter or penne with prosciutto and tomato cream sauce for main course. 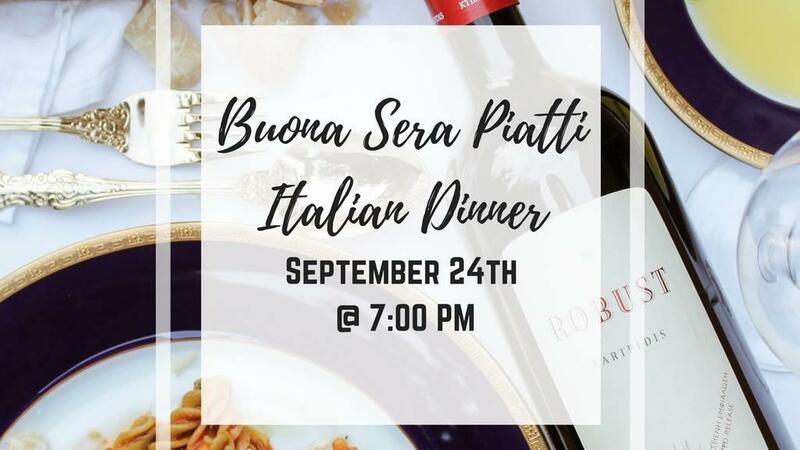 Join us for an enjoyable, Italian style night with friends! Ci vediamo presto!